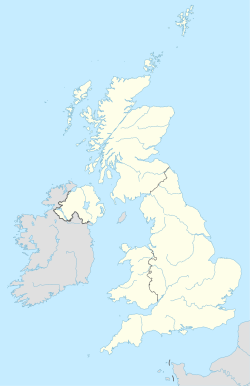 The CR postcode area, also known as the Croydon postcode area is a group of nine postcode districts in England, which are subdivisions of ten post towns in southern Greater London and north-east Surrey. The main sorting office is in Croydon, and the area served includes most of the London Borough of Croydon, the southeastern part of the London Borough of Merton and small parts of the London Boroughs of Sutton and Bromley. Most of CR3 and CR6 cover the northern part of the Tandridge district of Surrey, and the southern part of CR5 covers a small part of the borough of Reigate and Banstead. Croydon was the second town to have experimental postcodes, introduced in 1966 (Norwich having been the first). The system originally introduced included the postcode area CRO (letter 'O'), while Norwich used NOR for its equivalent. It was decided that the outward (first) part of a postcode should be alphanumerical, so CRO became CR0 (digit '0') and NOR became NR1. The CR1 postcode has not been introduced, making CR the only postcode area with a district 0 but not a district 1. Another lasting consequence of the experiment is that CR9 is allocated to large users, rather than 99 downwards as is usual in other districts. Delivery offices are located at Croydon, South Croydon, Caterham, Mitcham, Coulsdon, Thornton Heath and Purley. CR postcode area map, showing postcode districts in red and post towns in grey text, with links to nearby BR, KT, RH, SE, SM, SW and TN postcode areas.